Sauti Moja's donkey and goat program. 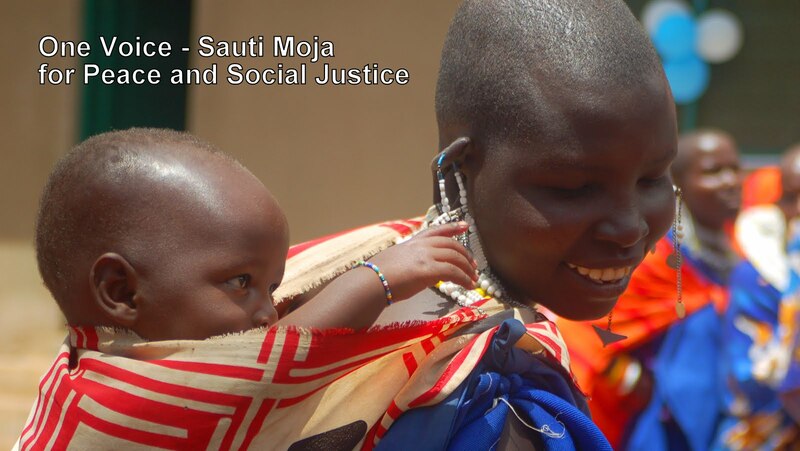 Having been a single mother and working in Marsabit, it is difficult for me to not reflect seriously on the challenges facing single mothers here, as Sauti Moja focuses on girl mothers and widowed mothers. Worldwide, a mother’s love for her children knows no boundaries, but in a mother’s love, we carry a common burden in child raising - guilt and worry. Too vividly, I recall feeling guilty when I came home late from work, let my children stay up too late, and was too tired to properly engage with them, as well as worrying so much about their challenges in school or with friends. Now, just imagine the burden of guilt and worry carried by an impoverished Kenyan mother who puts her children to bed hungry and worries how they will find food and fetch water. I’ve just returned from a village where a mother shared that when her children awoke in the middle of the night crying, she would tell them, “I am cooking food now, go back to sleep and I’ll wake you when it is ready”, but really no food was being prepared. This mom may not live in your neighbourhood, but she is one of us, in this global village. As we celebrate Mother’s Day, I have profiled the lives of three of our beneficiaries - two widowed mothers and one child mother - who have demonstrated daily courage and resiliency as they commit to the struggle to love and protect their children and provide a better future for them. Fatuma, a widow with three young children ranging from newborn to five years old, is a Sauti Moja beneficiary who received one donkey and four goats in 2008. She was very proud of her donkey and goats, and eventually was able to produce enough milk to give to her children and sell. She used the donkey to travel the long distances required to fetch water from a stream about 8 km away. Unfortunately, life’s problems are not resolved so simply. Fatuma’s new livestock grazed on family land, but as the livestock increased in number, the family no longer wanted to share their land. Fatuma made a decision to purchase a quarter acre of land with a loan from the Kenya Women’s Trust Fund. Paying the loan produced a new challenge, so she took to making charcoal down in the desert area and hauling charcoal to town for sale. This work is hard and laborious, and soon Fatuma fell ill. 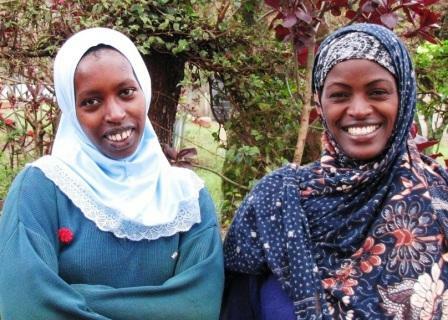 I wondered if taking a loan was the right decision for Fatuma, but after reflection I had to concede that it can’t be wrong to strive and take a chance for a better life. 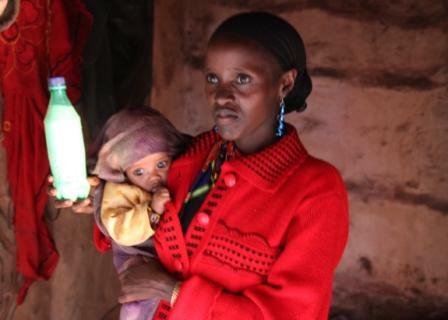 At any rate, Fatuma, with no source of additional income, could no longer pay the loan, had the added burden of medical bills, and her children were hungry. At this juncture, she decided to sell her Sauti Moja goats, which she was very ashamed to do, and pay off her debt. Today, she is a happy farmer growing beans and kale, and selling it in the market. I don’t expect Fatuma’s life to be easy, but today I can celebrate with Fatuma in her journey as a single mother. I wish her continued courage and wisdom, as she raises her three children and farms her small plot of land. of her goat's milk in hand. Diramu is a charming and determined widow mother with four young children. Before receiving a donkey and four goats from Sauti Moja, she had never owned even a chicken. However with diligence, Diramu soon increased her goat herd to 16. As pastoralist lives revolve around livestock, her herd represented a great achievement and increased social status for this poor mother. Unfortunately, the Drought of 2011 presented a tremendous challenge. Diramu and her children were totally dependent on relief food for their survival, but she knew that that this food supply would soon end. She also knew that her animals were the key to the survival of her family. As her donkey was critical to hauling daily water for her family, she fed the donkey a portion of the meagre family ration of relief maize, but as drought persisted, the donkey became too weak to go for grazing. Now, it was Diramu who walked 8 km each way to carry water to both her donkey and children, as well as travel into the heat of the desert to dig edible roots. Animals are most vulnerable when the drought breaks and rains come, as their weakened bodies are defenceless against hypothermia. Diramu’s donkey was helpless, unable to stand without help and had lost much of its hair, so she brought the donkey into her hut to keep it warm. Today, Diramu is pleased, as she was able to save 8 of her 16 goats from the drought and her donkey lived and regained full strength. The donkey now carries the water for Diramu, and once again, the goats are a source of wholesome milk for her children with any extra distributed to other poor mothers. I had the privilege of being in Diramu’s home sitting among the kids (baby goats) that were kept warm by the embers of her kitchen fire, when she proudly displayed a bottle of milk as evidence of being a good livestock-keeper. She talked about how she now feels like a productive and valued member in her village community, as her livestock has released her from begging and she is able to provide for her children. I was struck by Diramu’s commitment to save her animals but also recognize that she was also fighting to protect all the good that she had worked so hard to create. Today, I celebrate Diramu, her resiliency and commitment to provide for her children through challenging times and to her contributing as an interdependent member of her community. Often girls do not have the power to negotiate sexual advances and so was case for Amina, who became a child mother at the tender age of 15 years. Amina was raised by a single mother and grew-up in abject poverty; she well knew the path of hardship that lay ahead for her. So, it was not surprising that she lost all hope in life when Zainabu was three years old, and she became pregnant again with Bone. Prior to her first pregnancy, Amina was a good student with dreams of a different life, a better life, but child mothers were not welcome in the local school. She recently told us of those dark days when she was in deep despair due to no income, two babies, and no hope for anything better. The first ray of light for Amina was meeting Martha, the Team Leader for our Child Mother program. Martha negotiated with the school to allow her to enrol, and Sauti Moja linked Amina with a generous sponsor in Oakville. (Amina’s sponsor is tracking Amina’s progress, and looks forward to regular updates. She has even spoken of one day bringing her daughters to Kenya to visit with Amina.) As Moms, you are probably wondering who is taking care of Zainabu and Bone while Amina attends school. Well, happily, Amina’s mother is the caregiver to Amina’s children, and with the financial support of Amina’s sponsor, Sauti Moja provides a monthly allowance for child care, while Martha regularly monitors the health and wellbeing of her children. 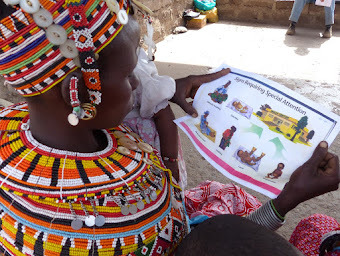 On April 25th, Tim and I arrived into Marsabit, and visited our child mothers who were participating in a three-day workshop on life skills and reproductive health. We received a wonderful update on Amina, who was also in attendance. Martha shared the great news that Amina had received a full scholarship to study engineering in Nairobi. Amina was shortlisted for this scholarship, as she had indicated an interest in becoming an engineer, had superior marks in Physics, Math, Swahili and English, and was a member of the Math Club. After a personal interview at the College in Nairobi, a math test, and two days of orientation, Amina was selected as one of the very few recipients of this important scholarship for girls from the remote areas of Kenya. Amina will study power transmission, as Kenya is rapidly expanding its electrical infrastructure. As we reflect on the challenge of motherhood, let us not separate ourselves from struggling mothers all over the World, but unite in the knowledge that our destination is the same, raising healthy children in a challenging world. 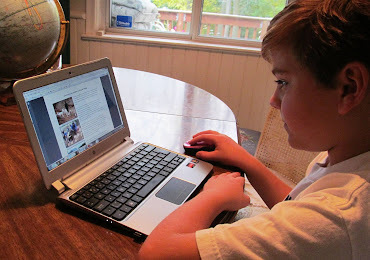 For more information on Sauti Moja programs please go to www.sautimoja.org.